Rockstar Games have officially announced GTA 5! On Twitter they just linked to RockstarGames.com with the hash tag #GTAV. On it is the logo shown below and details showing the trailer will be released on November 2nd, 2011! GTA V trailer Countdown Clock in new article here! 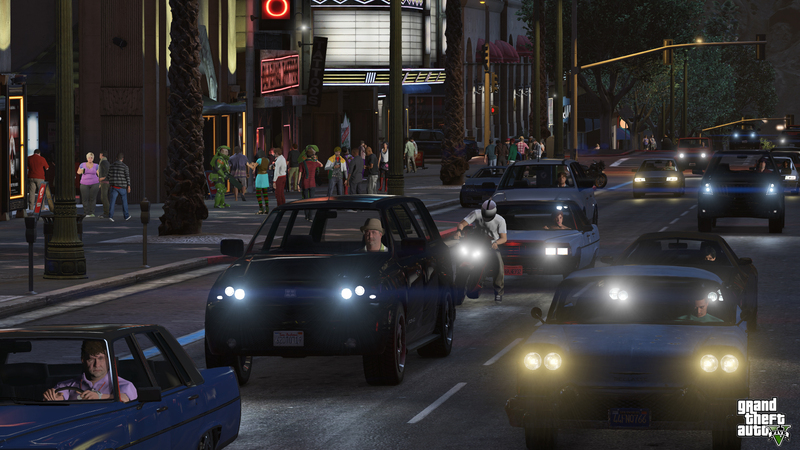 Leave a comment below and join us in the GTA V forums! We'll be lucky to get a tiller (can you say "best multiplayer vehicle ever"?). I wouldn't expect anything else besides that and an engine, though. Looks beast. So getting this for my b-day! Looks like we got Fighter Jets back huh? TIME TO DIE RANDOM PEDESTRIANS!!!!!!!! GTA V!!!!!!! At last!!! Bring it on!!! Woooooooo!!! Oh my good lord, buzzing don't cover it right now. Why is November 2nd so bloody far away!!!! GTA 5 Officially Announced - Rockstar Games have officially announced GTA 5 via their Official Twitter account! The trailer will launch on November 2nd, 2011.